If you want to get your learner's permit in the state of Louisiana, the Louisiana Department of Public Safety and Corrections (DPS) Office of Motor Vehicles requires you to complete a state-approved driver's education course. Driver's Ed teaches the principles of road awareness and safety for first-time drivers and it can be an excellent refresher for those who are more accustomed with driving. Completing a Louisiana driver's education course will help you gain a valuable foundation of safe driving knowledge that you can apply when you begin practicing your driving skills behind the wheel. The courses are designed to provide you with the skills and knowledge that can help make passing your driving test and obtaining your first driver's license easier. 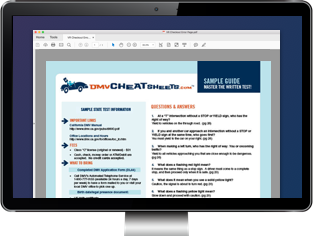 On this page you'll find information about your Driver's Ed requirements, your options for completing a course, and the next steps towards your first driver's license in Louisiana. When do you take Louisiana Driver's Ed? The fundamentals of being a safe and responsible driver, including skills, knowledge, and attitudes needed for the safe operation of a motor vehicle. Details of Louisiana traffic laws, such as proper stopping distance and who has the right of way. How to drive in hazardous conditions, through construction zones, over railroad crossings, and in emergency situations. In Louisiana, your Driver's Ed requirements will differ depending on your age. A pre-licensing course (6 hours). Alternatively, you can complete the same Louisiana Driver's Ed course as required for teens above. If you need to take a driver's education course or a pre-licensing course, you may do so at a secondary school or from a licensed third-party provider. Currently, Louisiana does not accept online Driver's Ed courses. If you're new to the state and you completed Driver's Ed in your previous state, your LA high school may give you credit for the course. You must have your out-of-state course approved and obtain an official Louisiana high school transcript. For more information, contact the Office of Motor Vehicles (OMV) at (225) 925-6146. A perfect complement to your Louisiana Driver's Ed course is preparing for the written exam with an online practice test. These industry-leading study helpers were created from content taken directly from the LA Driver Handbook. Don't waste time standing in long lines at the OMV. Study with an online practice test so you can pass the Louisiana written exam on your first attempt. Once you successfully complete Driver's Ed in Louisiana, your course provider will give you a certificate of completion. You'll need to bring this with you when you apply for your LA learner's permit. For more information, please refer our Drivers Permits in Louisiana page.